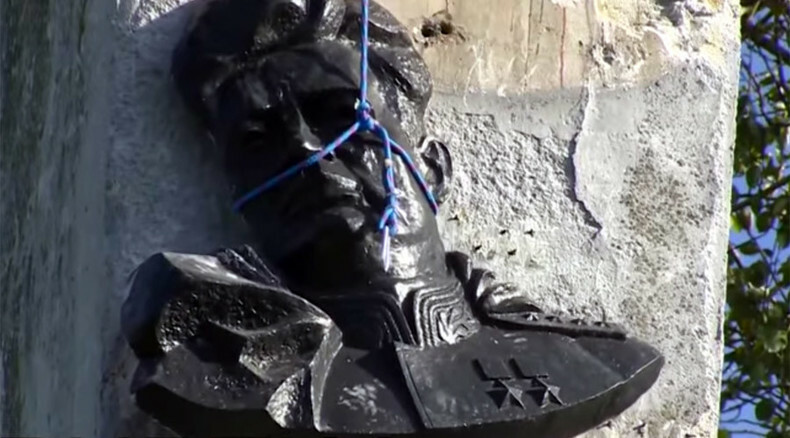 Home Editor's choice Proud Red Army Monuments Vanishing In Fascist Poland, Desecration Of Our Great Warriors Who Crushed Nazi Germany, How Quickly Poland Forgets, Or Does It Really Care ! Proud Red Army Monuments Vanishing In Fascist Poland, Desecration Of Our Great Warriors Who Crushed Nazi Germany, How Quickly Poland Forgets, Or Does It Really Care ! Twenty years ago, more than 560 World War II monuments to the Red Army were located on Poland’s territory outside burial places. There is less than a half of these memorials now, Russian Ambassador in Warsaw Sergey Andreev told on Thursday. An agreement between Moscow and Warsaw that obliges the parties to protect and preserve “all discovered burial and memorial places” of victims of war and political repressions has been in effect since 1994. The Polish side insists that its responsibility covers only protection of monuments located at cemeteries and military burials. Memorials mounted outside such places are regarded by Warsaw as communist symbols that must be removed. “In 1997, the Polish Council for the Protection of Struggle and Martyrdom Sites ( a state body that was responsible for war memorial issues until the last year) in association with Russia’s Embassy to Poland made a list of all Red Army monuments located in the republic outside military burials and cemeteries. There were 561 of them at the time. The Institute of National Remembrance officials now say there are 230 of them,” Andreev noted. The specified memorials do not include monuments located at cemeteries or other burials, objects that are not open to the general public or are demonstrated for scientific purposes or as works of art, along with monuments listed as pieces of architecture. Poland’s authorities suggest toppling monuments outside these categories within 12 months after the amendments come into effect this October. Poland’s Institute of National Remembrance, that acts as the main consulting body under the law and the opinions of which may guide local authorities, believes that about 230 World War II monuments to the Red Army are communism-propagating. The Russian Foreign Ministry called the adoption of the new law a deliberate provocation and stated that there would be consequences. The Federation Council, in its turn, addressed Russian President Vladimir Putin, asking to order corresponding services to draft proposals on possible restrictions against Poland.